There will be fireworks when Atletico Madrid and Real Madrid face each other at Estadio Wanda Metropolitano in the Madrid derby. Los Rojiblancos failed to melt Barcelona’s advantage in the La Liga standings to three points, with the team suffering a 1-0 loss to Real Betis in Seville. Alvaro Morata is now ready for his debut at Estadio Wanda Metropolitano and the January signing is likely to be deployed up front alongside Antoine Griezmann, who hit the post in the 1-0 loss to Real Betis. Los Blancos want to stay in the race for the title and we predict that they will go all guns blazing at their local rivals in the Madrid derby. A man to watch in the away team will be Karim Benzema, who has found his best form of late. Anyhow, a close encounter is on the cards in the local derby. After starting his youth career at Odometah, Thomas Partey was spotted by Atletico Madrid scouts in 2011 and he soon joined the Estadio Vicente Calderon outfit. 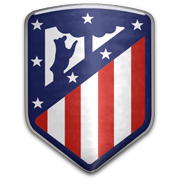 The defensive midfielder, who born in Odumase Krobo, Ghana on 13 June, 1993, played 33 league games for Atletico Madrid B, while making 14 league appearances for the first team. After ending his loan spells with Mallorca and Almeria, Thomas Partey returned to Atletico Madrid in 2015 and he made his debut for Diego Simeone’s team in a 1-0 win over Espanyol. The Ghanaian footballer played in the 2015/2016 Champions League final against Real Madrid, coming as a substitute in the 116th minute of the game. Thomas Partey made his Ghana debut in a 2-0 win over Mauritius in the 2017 Africa Cup of Nations qualifying match. His main position is defensive midfield, but the Atletico Madrid man is capable of playing as a central midfielder as well. Partey scored two goals for los Rojiblancos in the 2015/2016 La Liga campaign.